Do you need to readjust your sleeping clock to wake up earlier? If you do, this infographic might be of some help. 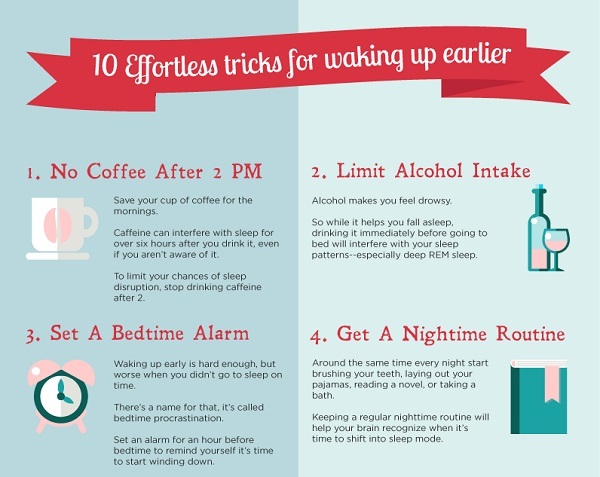 Created by WhereDatApp, it shows you ‘10 Effortless Tricks For Waking Up Earlier’. 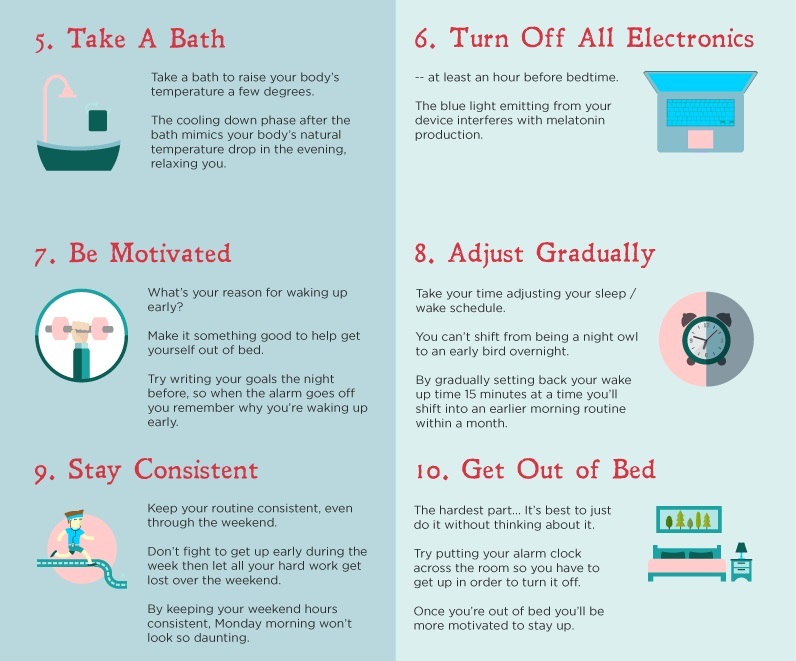 Some tricks include not drinking coffee after 2pm, developing a nighttime routine, taking a bath before you sleep, and turning off all electronic devices before bedtime.